A new generation of social media-driven dramas are giving viewers the power to decide whether their favorite characters live or die as well as a big say in plots. Cliffhanger endings where television audiences are left holding their breath for the next episode may never be the same again. In "If I Were You," a huge new hit show in Spain, viewers vote on Facebook at the end of each open-ended 10-minute episode on the next turn in the teen story. They are given the choice of two scenarios for the following week, with scriptwriters taking the one with the most likes. Producers cast an Instagram star as the lead character of the series, which "massively advances the concept of audience interaction first pioneered by the New Zealand show 'Reservoir Hill'," said analyst Virginia Mouseler of research group The Wit. That ground-breaking show won a Digital Emmy in 2010 by driving the plot of its "Twilight" meets "Twin Peaks" storyline with suggestions sent in by text. The Norwegian TV show "Where is Thea? ", where a young woman desperately searches for her missing friend, has become a smash in Scandinavia by crossing dramas' usual boundaries. It teases episodes online with five-minute videos of Thea's friend directly appealing for help to find her, and in-character posts updating fans on her search. "They have gone viral, and it's really quite impressive," Mouseler told some of the world's top TV executives at the MIPCOM gathering _ a leading entertainment content market _ in Cannes. The trend comes as Facebook announced that it would be showing an English version of another social network-savy Nordic hit, "Skam" (Shame), on its new video platform, Watch. Simon Fuller, the man who brought the Spice Girls and the "Pop Idol" franchise to the world, is working on an international version of the show where the lives of a group of teenagers are continually updated on their Twitter and Instagram accounts. The series has already become a social media phenomenon, blurring the lines between fiction and reality, with fans far beyond Norway interacting with the stars online. 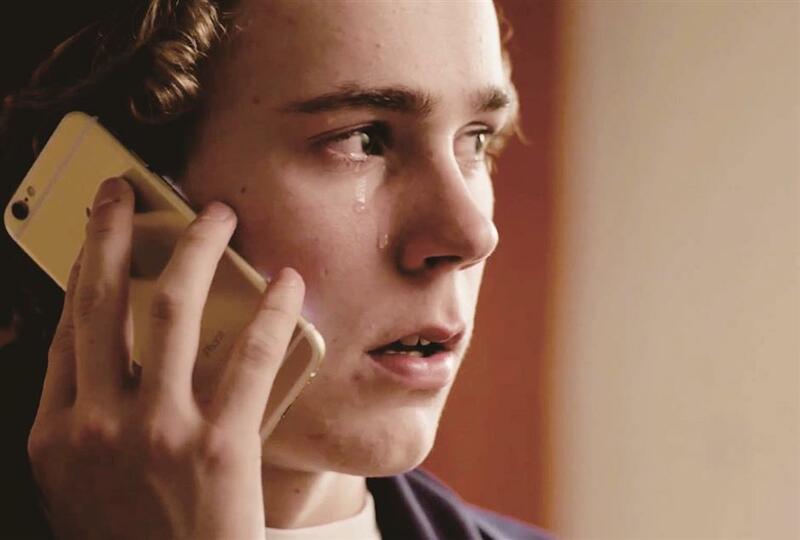 Norwegian TV show "Skam" becomes a hit on social network. Facebook's creative strategy chief Ricky Van Veen told reporters at MIPCOM that "Shame" was "the perfect show for Facebook and for Watch," which launched in the US six weeks ago. He said they want to expand "Shame" into other languages as the Silicon Valley giant starts making its own shows in a bid to rival Amazon and Apple. It has already put its toe in the water with "Make or Break Up", where couples in crisis ask Facebook users whether they should stay together. But for the moment it is traditional broadcasters who are leading the line. In the new Portugese series "Amnesia" _ one of a wave of high-end dramas that turn on the condition _ a young blogger called Joana is accused of murdering her boyfriend while he slept. But she cannot remember what she did. Viewers can investigate the murder themselves, or speculate on her innocence or guilt, through her social media threads and those of her dead lover. South Korea, whose dramas top the ratings well beyond Asia, has not been slow to tap the social media trend. It has teased elements of its latest K-TV blockbuster, "While You Were Sleeping," to fans of its fantasy-tinged fare worldwide. 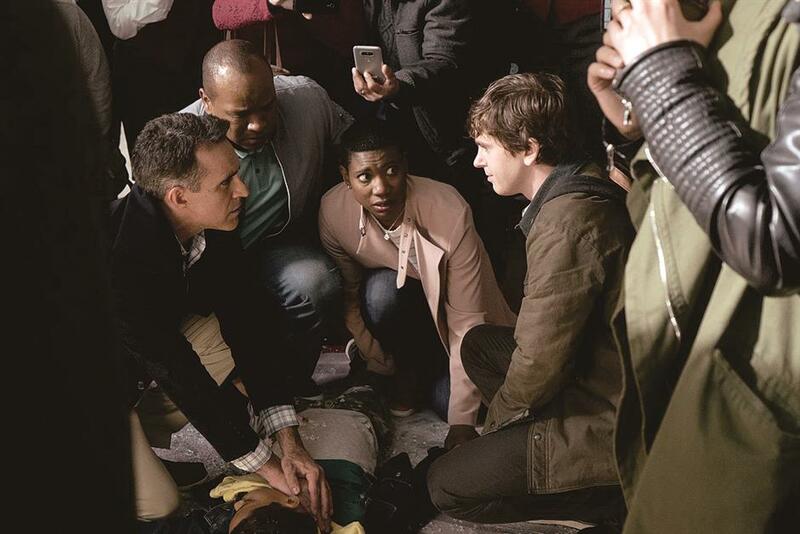 A remake of "The Good Doctor" about an awkward young surgeon with autism and almost perfect recall becoming the number one show in the US for ABC. American audiences are the latest to fall for Korean series' soft-edged appeal, with a remake of "The Good Doctor" about an awkward young surgeon with autism and almost perfect recall becoming the number one show in the US for ABC. And the biggest hit this year in Turkey was another South Korean remake, "Tales of Innocence." Snapchat versions of big US shows like "The Voice" and "The Bachelor" are also drawing teenagers back to their sofas to watch the original TV ones, according to Sean Mills of mobile content specialists Snap Inc.
Former NBC veteran Lauren Anderson, who also works at Snap, told delegates in Cannes that the smartphone social media trend is a boon for showrunners and writers trying to reach "kids who live through their mobile."